Plan Would Allow Members of Congress to Oppose Debt Ceiling Increases but Avoid Standoffs by Making it Harder to Use the Debt Ceiling as Political Leverage. Washington, DC - October 30, 2013 - Today, U.S. Senators Barbara Boxer (D-CA), Charles E. Schumer (D-NY), and Mazie Hirono (D-HI) introduced new legislation – the Pay Our Bills Act – that would permanently allow Congress to disapprove debt ceiling increases, instead of approving them. The plan, based on the ‘McConnell rule’ first proposed in 2011 and employed again in the most recent agreement to end the shutdown and avoid default, would drastically reduce the chances that the debt ceiling could be used as a political weapon designed to extract policy concessions from the opposing party. Boxer, Schumer and Hirono argued that even coming close to default has serious consequences for the American economy and must be avoided. The disapproval mechanism or ‘McConnell’ rule was temporarily included in the bipartisan Senate agreement that reopened the government and avoided default earlier this month. This same mechanism was also used to lift the debt ceiling twice following passage of the Budget Control Act. Under the new law, the President has suspended the debt ceiling until February 7th, and to disapprove the suspension Congress must draft and consider a resolution of disapproval. If Congress passes the resolution of disapproval, the President has the option to veto the resolution. If Congress so chooses, it may attempt to override the veto with a two-thirds majority. However, subsequent increases in the debt ceiling will still have to be approved by Congress. Boxer, Schumer, and Hirono are pushing for the McConnell rule to be made permanent for all future increases in the debt limit, requiring that if Congress chooses to consider a resolution of disapproval it does so within 15 days after the President proposes an increase. When the country is close to exhausting its borrowing authority, the President may choose to lift debt ceiling, which would trigger the resolution of disapproval process. 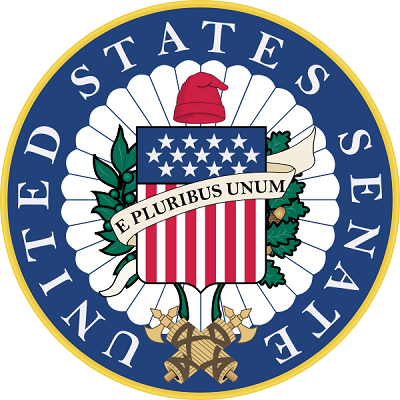 The Senators argue that the proposal still gives Congress the authority to oppose an increase, but makes it much less likely that the debt ceiling can be used by either party to pursue policy changes on unrelated issues. Subject: LongIsland.com - Your Name sent you Article details of "Legislation To Take The Threat Of Default Off The Table For Good"